The outdoor area is one of the best parts of a property. It can serve various purposes as long as you keep them clean and well-maintained. Below are some of the best tips you need to have a beautiful garden, patio or balcony for all your social gatherings and special celebrations. Outdoor furnishings and decors add charm to a barren space. Because they are often exposed to harsh weather condition, they tend to wear out quickly. To keep your furnishings and decors in tiptop condition, you must know how to clean and maintain them properly. Part of proper cleaning and maintenance is understanding which method and equipment you need for every type of furniture you have in your garden. For example, you should only use a soft bristle brush or microfiber cloth when you clean metal chairs because you might scrape off the layer of paint on its surface. As for wooden outdoor furniture, you need to sundry after them you washing each piece with cleaning solution. You must also learn how to clean rattan furniture because most patio and garden furniture nowadays are made from polyethylene rattan. During rainy days, plastic containers left in the garden can harbor harmful insects such as mosquitoes. If you spot any empty container lying around the outdoor area, it’s best to throw them away or place them inside your garden shacks. By discarding potential breeding grounds, you can keep mosquitoes away for the entire year. You can also try using DIY decors that can deter bugs from invading your outdoor space. Vertical gardens are no longer limited to small properties. A lot of homeowners practice vertical gardening nowadays because they want to utilize every space available in their yard. They also want to keep their patios and garden as neat as possible. Instead of growing plants in rows of pots, you can build a garden shelf or upcycle old materials such as old plastic containers or tin cans and hang them on the walls or the ceiling. There are so many ways you can create a vertical garden. For example, you can use recycled garden pockets or old and worn-out dressers. Hosting barbecue parties can be a ton of fun because you get to invite all of your friends to enjoy delectable treats and share a thing or two about work and other stuff. After wrapping up the party, don’t forget to clean the barbecue grill. It will save you time if you clean it right away because it’s easier to remove the bits of burnt meat, grime, and grease. Cleaning the grill only takes about 15 minutes. Start by disconnecting the propane tank and soaking the grates. It’s best to remove the grill while they’re still warm, so you should wear work gloves. Use hot water with a few drops of dish soap. Then, scrub everything under the BBQ hood and walls. To avoid damaging the heating element, you can place a large piece of aluminum foil on it. Once everything is squeaky clean, you can start working on the grates and the grill’s exterior walls and cabinets. There is no use to creating an amazing outdoor lounge, garden or outdoor kitchen and dining area if you can’t commit a few hours of your time to maintain it. Your outdoor space deserves all the TLC that you can give. Schedule a regular gardening/cleaning routine each week so you can keep an eye on cracked pots, leaky garden hose, dead plants, damaged furniture, and whatnot. If you need to learn more about pipe leak detection, make sure you visit our helpful resource to gain the knowledge you need. You may need to allocate at least an hour each week so you can perform a complete cleaning and maintenance routine. The windows are also part of the outdoor space. To avoid having grimy windows, you should clean them as often as you can. Dirt and even industrial and vehicle fumes often get mixed in the air. These small particles tend to accumulate in many surfaces such as your windows. To keep the windows tidy, use a damp lint-free cloth to wipe the glass. Home experts suggest cleaning the windows during a cloudy day because to prevent water spots from forming on the glass surface. If you have a full grown garden, see to it that you spend a few hours every day to check the plants. You may need to till the soil, add a layer of mulch, or remove weeds to promote the healthy growth of your garden plants. Some plants also need regular pruning and trimming to prevent water loss and to promote lateral growth. The plants also need constant watering. Make sure to note which plants need the most amount of water so you can place them in a separate space. If you’re often away from home, try to create a DIY irrigation system for your plants to prevent wilting. Dirt and other kinds of materials accumulate on the surface of the patio flooring or deck every day. That’s why it’s important to schedule a regular cleaning routine. 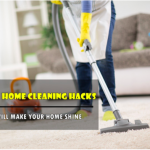 You have the option to scrub the flooring or invest in a steam cleaner or pressurized hose. With the use of steam or pressurized water, you can easily remove deep-seated dirt on the flooring or deck. Every outdoor space needs colorful textile. Because these outdoor fabric get exposed to all kinds of weather condition, you must have them washed regularly. We suggest replacing the linens at least once a month. By using freshly-washed pillowcases, rags, and cushion covers, you can avoid having a shabby-looking outdoor area. A lot of homeowners dream of having an awesome outdoor living area. If you already have one, see to it that it’s well-maintained ever day. Keep your outdoor space clean and tidy by following the tips we shared above. Next post: How do Mortgage, Pledge, Hypothecation and Charge differ from one another?